Jack Wills has announced a number of senior management appointments to strengthen its team in key areas as it plans its next stage of growth. The company has poached Phil Mickler, former CFO at Whistles, for the same position – he will join Jack Wills this month, is “an experienced financial leader in the retail industry”, and has spent more than six years at Whistles. Before that he was Finance Director at Diesel and Finance Controller at Topshop. The preppy fashion chain has also hired Mark Wright as Managing Director of eCommerce, to bolster the company’s online presence. Wright, who joined Jack Wills last year, was previously Head of Trading for UK eCommerce at Marks & Spencer. In addition, Sophie Neary has been selected for the role of Chief Customer Officer. 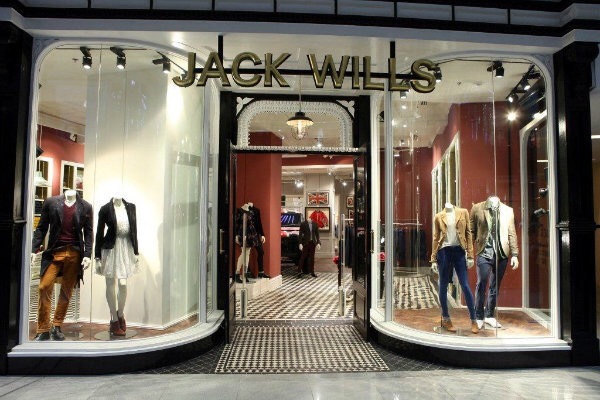 Neary had previously been working at Jack Wills on an interim basis. She has a consultancy background and formerly advised clients including Tesco and Asda on their customer relations. Her role will be to strengthen the brand’s relationship with its devoted customers around the world. Finally, the British retailer has appointed Tim Allinson as Global Supply Chain Director. Allinson is the ex-UK Logistics Director at Dixons Stores Group and will work through the company to ensure the right fashions reach Jack Wills’ customers smoothly and quickly, either through the retailer’s global store estate or its e-commerce operations. These appointments follow the decision by Pete Williams, Jack Wills’ founder, to return as the Group’s CEO, after a two-year sabbatical. Mickler’s hire follows Ian Johnson’s departure. Johnstone joined Jack Wills in August 2014 as Chief Financial Officer and worked closely with the board and its CEO (initially Wendy Becker and more recently Pete Williams). Following the Group’s decision not to proceed with a public listing in the foreseeable future, Johnstone decided to resign and to seek other opportunities. In addition, Emma Sheller, Chief Marketing Officer, and Sanjay Sharma, Global Business Development Director, have also left. Posted on January 8, 2016, in #retail, #uk, Other. Bookmark the permalink. Leave a comment.